We are making some operational changes to the Seals Lottery. Previously, the draw was made shortly after the 5th of each month – the day on which the Standing Orders are collected. The winners were then notified before the results could be announced. As it could take a while to track down those who had won, there could be a long delay before publishing the results. We are now going to release the results on the second Tuesday of each month. 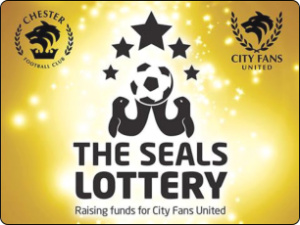 It will be something for people to look out for and hopefully the Local Press will also cover it thereby increasing awareness of the Seals Lottery to the benefit of the club. The winners will still be contacted although hopefully many will take the initiative and get in-touch with the club themselves to save our ever-busy volunteers some effort.